Although they were initially left frustrated by a rain shower, India did not take long to pick the remaining two Australian wickets and wrap-up a convincing triumph at Melbourne. The 137-run victory helped the visitors take an unassailable 2-1 lead in the four-match series. Australian commentator Kerry O'Keeffe, who has been under fire for his controversial remarks on Indian cricket, issued an apology in an open letter. Following a lacklustre performance at the MCG, Australia have made one change to their squad for the upcoming fourth Test at Sydney. Here are all of today's top developments from the cricket world. With just two wickets away from victory, a confident Indian team arrived at the Melbourne Cricket Ground on Sunday for the final day of the third Test. However, a thunderstorm swept through the venue to result in a washed-out first session. Much to the cheers of a vibrant Indian contingent present at the venue, the weather cleared after lunch and play resumed with Australia tottering at 258/8. All it took was just 27 balls for the Indian bowlers to breach the hosts' last line of defence. Jasprit Bumrah removed the well-set Pat Cummins by getting one to move away after creating an illusion of coming in. Soon thereafter, Ishant Sharma spark jubilant celebrations on the field when he had Nathan Lyon top-edge a sharp bouncer to wicket-keeper Rishabh Pant. 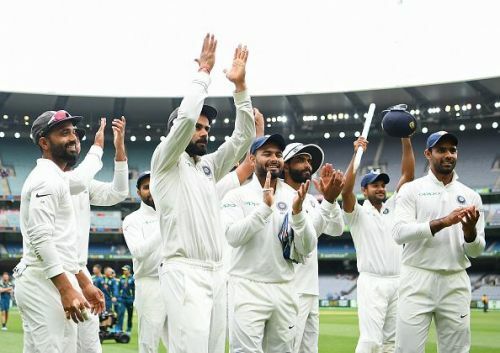 Their 137-run triumph at the MCG ensured that India took an unassailable 2-1 series lead and allowed them to retain the Border-Gavaskar Trophy irrespective of the result of the final match at Sydney. Australia vs India 2018-19: Will Sydney weather play spoilsport in 1st ODI at SCG?